A new CNN/ORC poll finds 59% disapprove of the way Obama is handling the U.S. relationship with Iran, and about half would have preferred Congress reject the deal. Few believe Iran will abide by its terms, and a growing number consider the country a serious threat to the U.S. Most Americans think Iran will ultimately violate the terms of the agreement, with 37% calling that extremely likely and 23% saying very likely. Just 10% think it’s not at all likely that Iran would break the agreement. Republicans (83% likely) and independents (58% likely) are more apt to believe Iran would violate the agreement than are Democrats (44% likely). If Iran did violate the deal, 64% of all adults say the United States should respond with military action, including majorities across party lines (57% of Democrats, 64% of independents and 72% of Republicans). About a third, 34%, say the United States should not take military action if the deal is broken…. Nearly half (49%) now say they consider Iran a “very serious” threat to the United States, up 10 points since April. That shift came across party lines with double-digit increases in the percentage viewing Iran as a very serious threat among both Democrats (up 14 points to 43%) and Republicans (up 15 points to 68%). Fewer see North Korea (37%) or Russia (30%) as a very serious threat, but both those figures have increased 5 points since April. JOHN KING: Now, of course, we know from Democratic support in the Senate, the President will get his Iran nuclear deal. What do people think of that? As this debate has played out, support has actually gone up just a little bit — 47 percent in our polls says Congress should approve the nuclear deal. That’s up from just a month ago, when only 41 percent said that. Now the President gets that because he had enough Democrats to block Republicans from rejecting the deal. But if the deal fails, if Iran cheats, look at this. 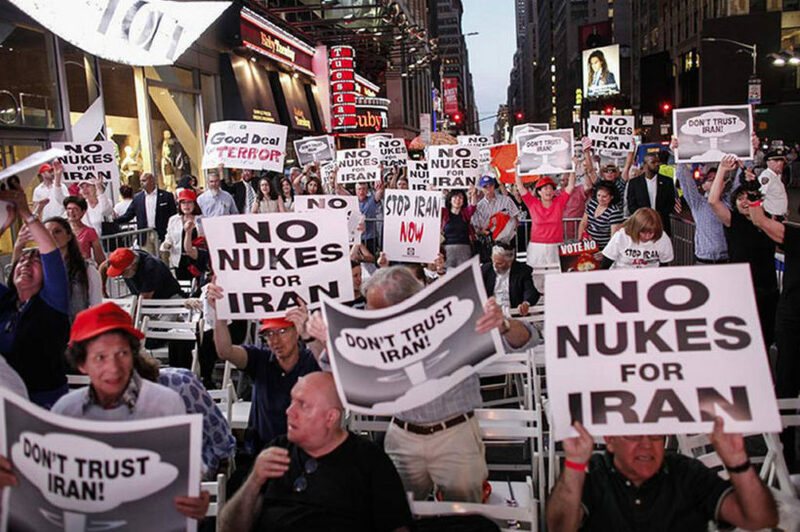 64 percent of Americans — that’s a lot of Democrats as well as Republicans think the United States should take military action if Iran cheats on that deal. One might wonder why you would approve of this six-country effort and then agree that it’s very possible Iran will cheat? And then agree that military action is required? 1. What type of bias do you think this excerpt illustrates? 2. Do you think CNN’s reporting on the results of its own poll was intentionally underreported? Explain your answer. Bias by placement. Story placement is a measure of how important the editor considers the story.